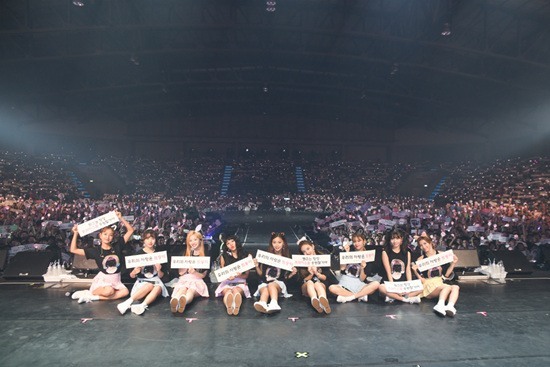 Twice successfully ended its second Asia tour, wowing over 90,000 fans across the region. 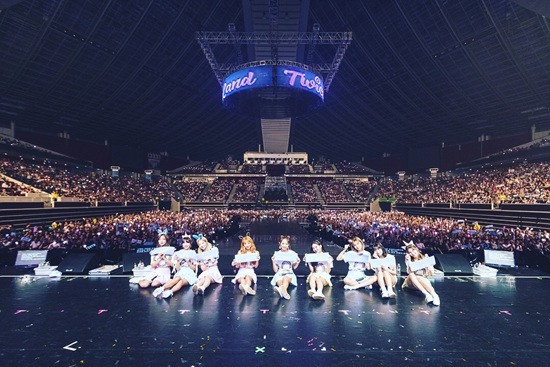 The “TWICELAND ZONE 2 : Fantasy Park” tour, which kicked off in late May at Jamsil Arena in Seoul, saw the band perform in six cities across Asia before it came to an end at Indonesia Convention Exhibition Hall 5 on Saturday. The nine-piece band once again proved itself to be one of Asia’s top girl groups as thousands of fans from South Korea, Japan, Singapore, Thailand and Indonesia showed up to watch it perform live. The group saw swarms of fans flock to the airport in every country it went, with its name trending on Twitter during its tour dates. The multinational girl group will embark on yet another tour, “BDZ,” in Japan in late September following the release of its first full-length Japanese album of the same title. “BDZ” is the group’s first tour of arenas in Japan.